Imagine being told you could not foster a child because you're gay. 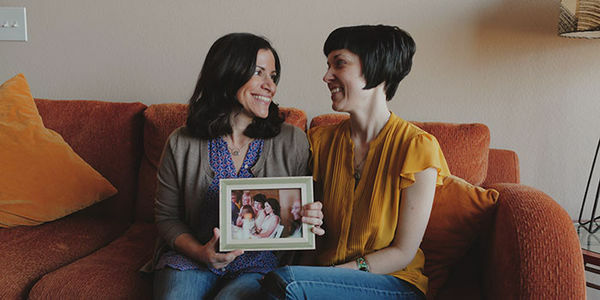 Fatma and her wife, Bryn were denied the opportunity to apply to foster a refugee child by a church-run, taxpayer-funded foster care agency operating a federal program. The couple was told their family structure didn't "mirror the Holy Family." -A post office clerk refused to change the name on the P.O. Box of a newly transitioned man because, "it's against my beliefs." -In Mississippi, an elderly widower was denied funeral services for his husband and partner of 52 years because the funeral home worker objected to their marriage. Last summer the U.S. Department of Justice announced a Religious Liberty Task Force to give aid and legal cover for pervasive discrimination. Religious freedom is the right of every American. But this is just wrong. Our lawyers are fighting to stop this abuse in the courts and halls of government. And we need you to speak out, too. Take action today and demand that the Trump Administration stop weaponizing religious freedom to discriminate against LGBTQ families and youth!